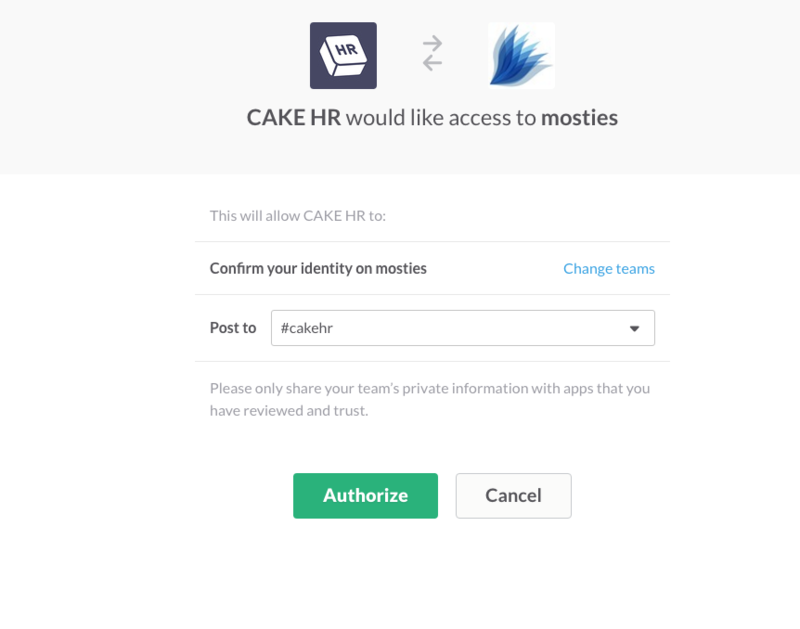 Integrating CakeHR for Slack is a great way of receiving desktop notifications ahead of the working day of who is off and when. Firstly, you may need create a new channel. Relate it with CakeHR or daily time off - you don't want your notifications being lost between #funnyanimals or #randomdevchat. Next, head back into CakeHR > Settings > Integrations. Then, Enable Slack integration. Select the appropriate channel and click "Authorise". 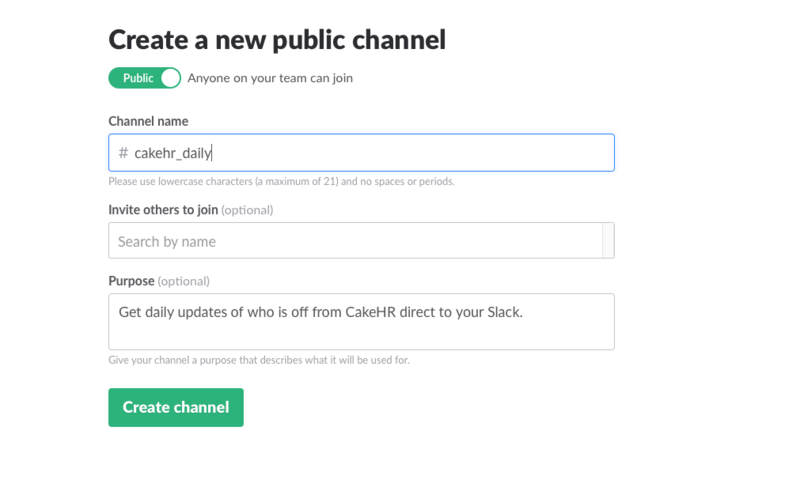 Daily, at 8:00am according to your Global Timezone settings in CakeHR, you will receive your notifications directly in Slack, in the channel which you selected.